The Insurance Institute for Highway Safety is a non-profit research institute that studies vehicle and driver safety. Their work informs the insurance industry while also leading the automotive industry in making significant advances in vehicular design and performance. 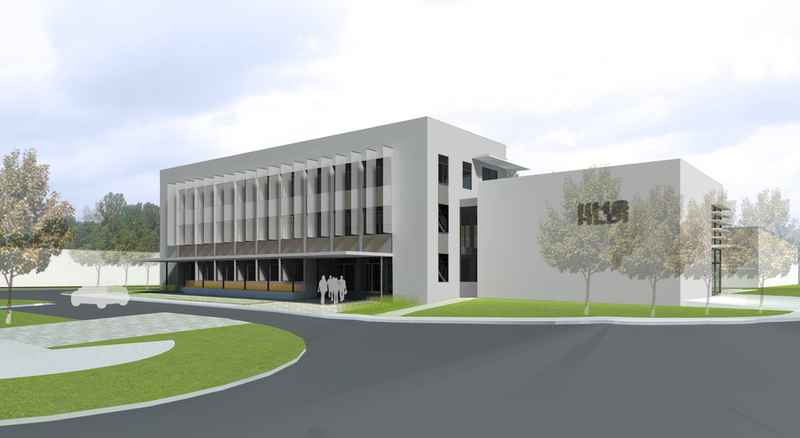 IIHS asked Wolf Ackerman to initially explore feasibility options to add a new, 80,000+ SF state of the art office building to be located on their 100+ acre campus in central Virginia. 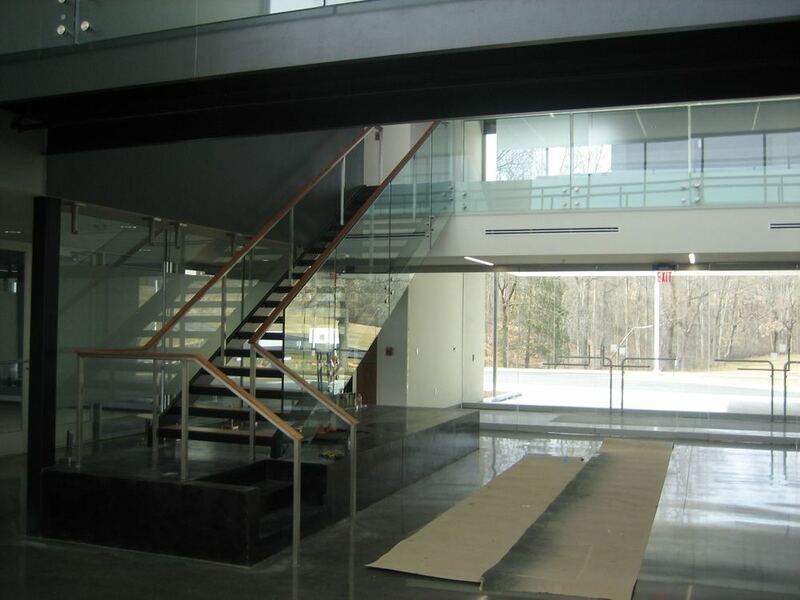 Wolf Ackerman worked with the client to study and evaluate various site strategies and building locations. 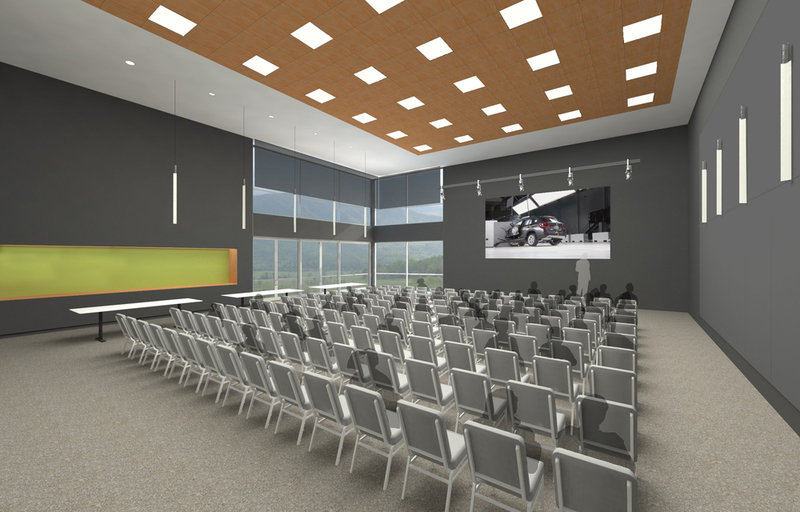 Originally, the intent of the project was to provide added engineering labs and vehicle staging spaces for critical robotics and crash avoidance testing scenarios along with 80 new offices. 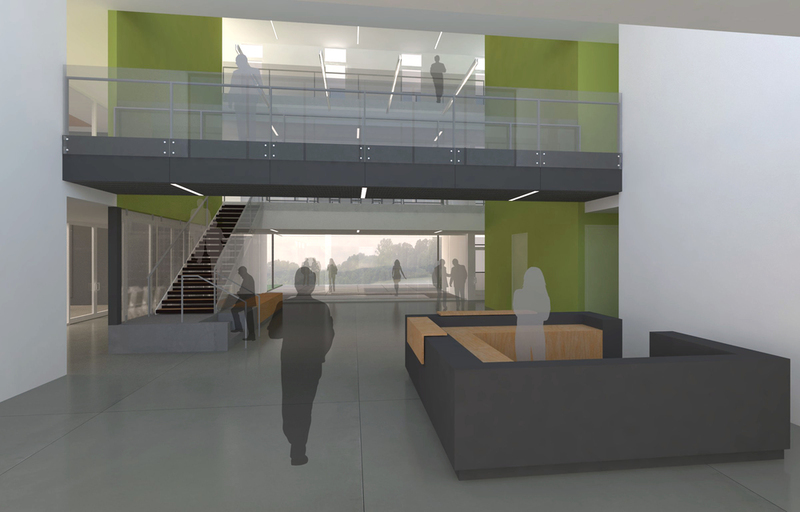 Ultimately, the scope of the project was reduced to reflect a more modest and phased approach to expanding the facility that included 29,400 SF of new construction and minor renovations to the existing office and technical spaces. The new addition is a modern, 3-story steel frame and concrete slab structure that adds 34 new offices while providing a large 150-person conference center auditorium and vastly improved visitor experience for guests in a bright atrium open to the upper levels and spacious public lobby that allows for large exhibits highlighting the institute’s ongoing research and historical accomplishments. 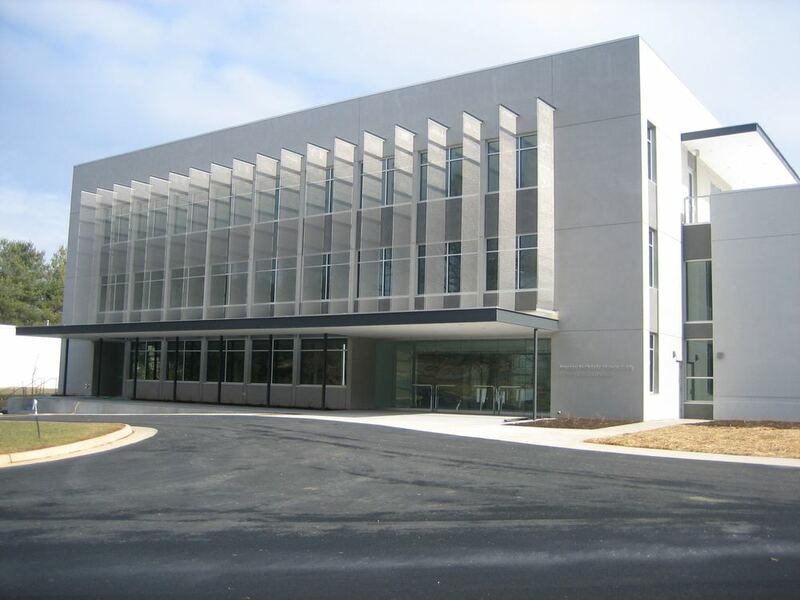 The addition not only gave IIHS added capacity to grow their staff and support their mission, it also became the new front door for the organization and a new expression of the institution role as a leader in its field of research.